&diams;1.QT4-24 is made of high-performance steel Q345. Thus it has advantages of high toughness, wear and tear resisting and high strength. 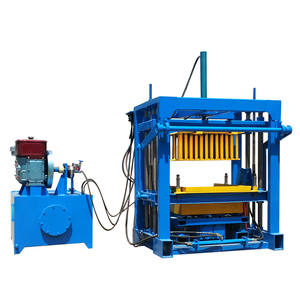 &diams;2.The semi-automatic concrete block making machine QT4-24 can produce hollow blocks,solid blocks and paving blocks just by changing the moulds. 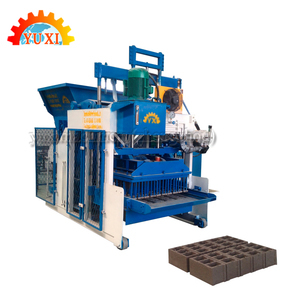 &diams;3.In the process of concrete block moulds production, precise line cutting and carburizing treatment are adopted to prolong its service life. A variety of molds can be matched According to the production , change different moulds . If container is too tigher,we will use pe film for packing or pack it according to customers special request. 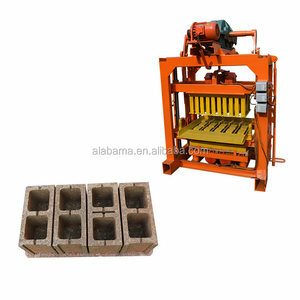 2 Q: Does this brick machine suit us9 A: We can make the most suitable brick and mould for you according to your request. For it, the demoulding method with pulley and sprocket is adopted instead of the domestic traditional demoulding method with Reductor so that it becomes simple in structure and durable in use. 2.By using shock absorbers at many places of the machine, its noise becomes low , vibration damage less and service life of mould longer . 2.Scatter: using 360 degree revolving material-scattering,corresponding to scatter material twice, one time is ok,the speed is high,so the blocks have high density and strength. 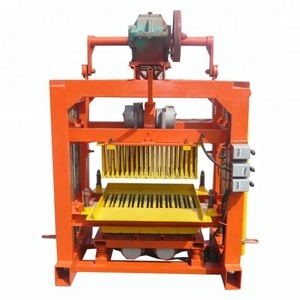 is a professional brick machine manufacturer with more than 23 years history. is a sub-company established by Fuda Machinery, Linyi Yingcheng International Trade Co.,Ltd. 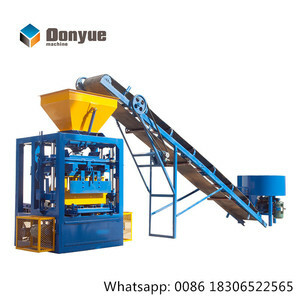 QT40C-1 is a semi automatic brick machine with wide range of production and large capacity. Thus it has advantages in high toughness,wear and tear resisting and high strength. is a Chinese manufacturer of dedicated machinery for construction blocks and panels. Also we have engineers stay abroad to help you install the machines and training your workers at your side. Brif Indroduction 1. 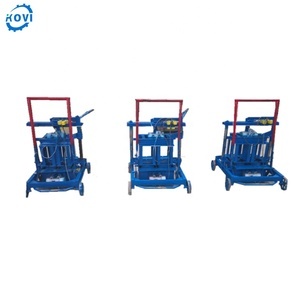 Multi-source vibration system: designed for the large-scale brick machine, suitable for large platform, an integration of computer-controlled, hydraulic-driven and electro-mechanically technology, synchronous way of vibration with adjusted according to various raw materials to reach the best effect. 2. Control system: sufficient combination of digital number with monitor and sensor technology enables every movement to be precise and reliable, and is very suitable for busy and complicated work, the system is advanced in technology and easy to handle because it uses several hundreds of manufacturing techniques. 3. Automated self-diagnosis: the computer fault-automatic self-diagnosing system is attached to the machine to serve an alarm reporting function and thus facilitate the elimination of any fault. Our categories falls into the block making machine,hydraulic color figure block machine, contrete pipe machine, concrete mixer etc. We pay high attention the market demand at home and abroad, and attend the different kinds of fair in order to get the newest market trend at the very first place. Outstanding S ervices: Selling is only the beginning of our service, our good after-sale service would provide our customer with both the technology and the skills. Alibaba.com offers 7,742 block making machine 6 products. About 63% of these are brick making machinery, 19% are ice machines, and 1% are board making machinery. 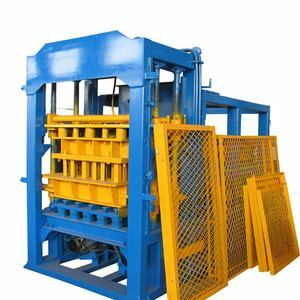 A wide variety of block making machine 6 options are available to you, such as hollow block making machine, interlock block making machine, and curbstone block machine. You can also choose from concrete, cement, and clay. As well as from yes, no. 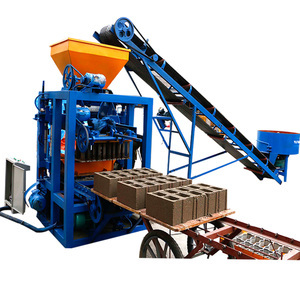 And whether block making machine 6 is brick molding machine, brick cutting machine, or brick production line. 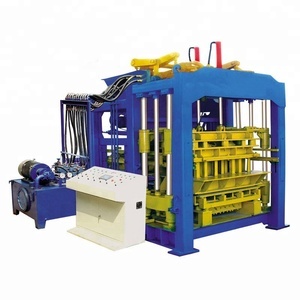 There are 7,742 block making machine 6 suppliers, mainly located in Asia. The top supplying country is China (Mainland), which supply 100% of block making machine 6 respectively. 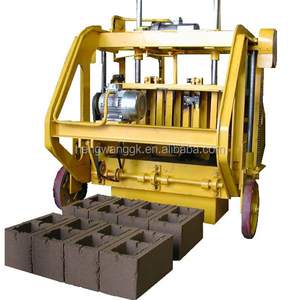 Block making machine 6 products are most popular in Africa, South America, and Southeast Asia. You can ensure product safety by selecting from certified suppliers, including 2,654 with ISO9001, 1,451 with Other, and 138 with OHSAS18001 certification.